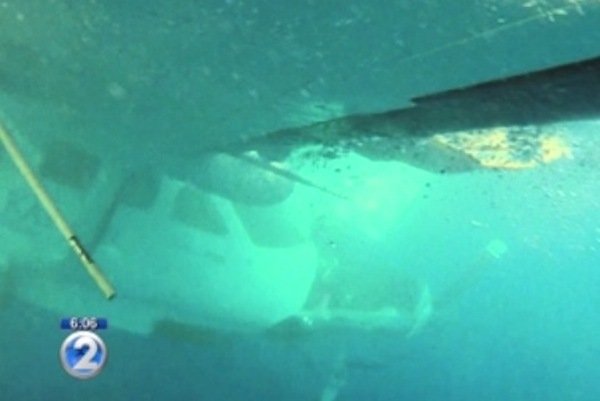 Wreckage of a Cessna Caravan in the Pacific Ocean off the coast of Hawaii. The passengers and the pilot patiently exit the plane as the cabin becomes flooded with water. The passenger in the lavender sweater appears to the others to be alive and well. This passenger is observed floating in the ocean, wearing a life jacket and showing no signs of distress. Oddly, another passenger documents the entire event with a GoPro video camera. The video never reveals the face of the passenger in the lavender sweater, who will soon become the focus of a mystery. This passenger apparently ends up dead about an hour later. Initial reports describe three different causes of death. Even more baffling is the fact that no one else on board the Cessna Caravan died. Do not assume that you can simply look up the National Transportation Safety Board (NTSB) final report to find out what happened. The incident is “under investigation”… almost two years later. Now for a little bit more about this dead passenger. The deceased was the former leader of the American branch of an Islamic cult that originated in Indonesia. The deceased used two names…and had two different birthdays. More mystery. Through the Islamic cult, the deceased was connected to a very interesting couple from Chicago. The husband attended meetings in Chicago and China with a graphic designer who created a very recognizable circular logo for a famous politician from Chicago. The father of the graphic designer who created a very recognizable circular logo for a famous politician from Chicago lived in a commune with members of the American branch of the Islamic cult. The wife from this Chicago couple was friends with the deceased. The wife became the leader of the American branch of the Islamic cult too; just like her friend who purportedly perished in the Pacific Ocean. Now it turns out that back in the 1940s, the FBI was extremely interested in the parents of the husband from this Chicago couple. When this Chicago husband, professor, and Soviet propaganda expert was a young boy he lived with his parents near Washington D.C. The Chicago husband’s mother and all of his grandparents were from Russia. The Chicago husband’s father worked for the U.S. government. The FBI had the father under government “technical surveillance” through a judge’s secret order. The FBI monitored his phone calls. The Soviet spy was part of an espionage network penetrating the highest levels of the U.S. government. This Soviet spy ring had many agents working at American public libraries, scanning local newspaper obituaries to obtain the names of recently-deceased babies. This Soviet spy network then used the names of these dead babies to create fraudulent identities in order to obtain counterfeit U.S. passports. These fraudulent passports were used by the communist spy operation to bring additional Soviet espionage agents into the United States. The FBI eventually had 26,000 pages of files on this ring; the ring which also stole atomic bomb secrets from the Manhattan project. It was the deceased who released a Hawaii birth certificate for the famous politician from Chicago, who is now the sitting U.S. President. 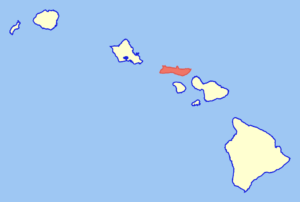 Many claim that the Hawaii birth certificate is fraudulent. The deceased was named in a sealed affidavit filed in U.S. District Court in Seattle alleging misprision of felony and treason against the United States. 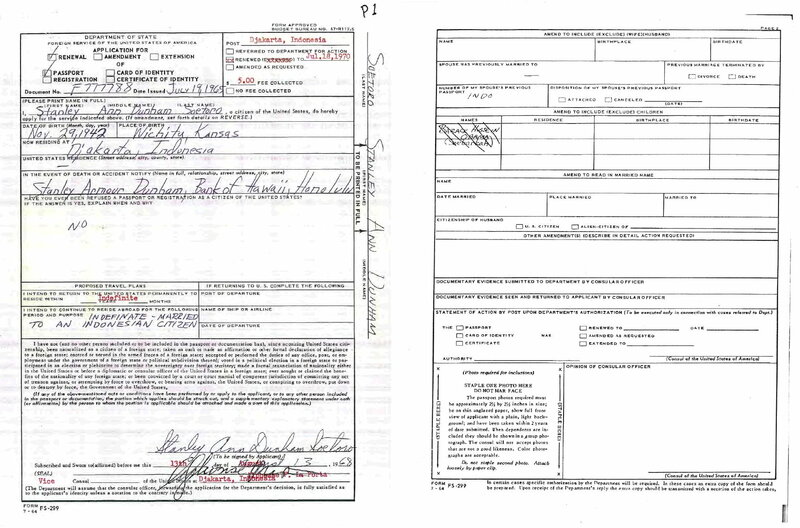 The sealed affidavit included a technical analysis concluding that the birth certificate was fraudulent. The affidavit also contained personal financial records of the Hawaii official. Less than two months after the affidavit was filed the plane allegedly transporting the Hawaii official went down in the Pacific Ocean. The Hawaii official reportedly died. 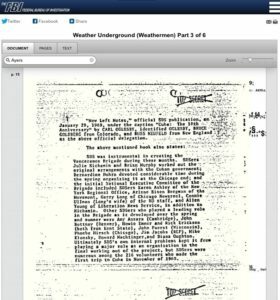 The following are the actual events portrayed in the story you just read, complete with real names and excerpts from the original Silvermaster FBI files. 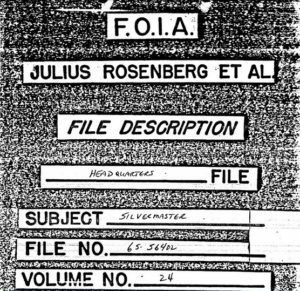 Approximately 26,000 pages of FBI files related to the Silvermaster Soviet spy ring and the Julius and Ethel Rosenberg espionage case were declassified under the Freedom of Information Act (FOIA). 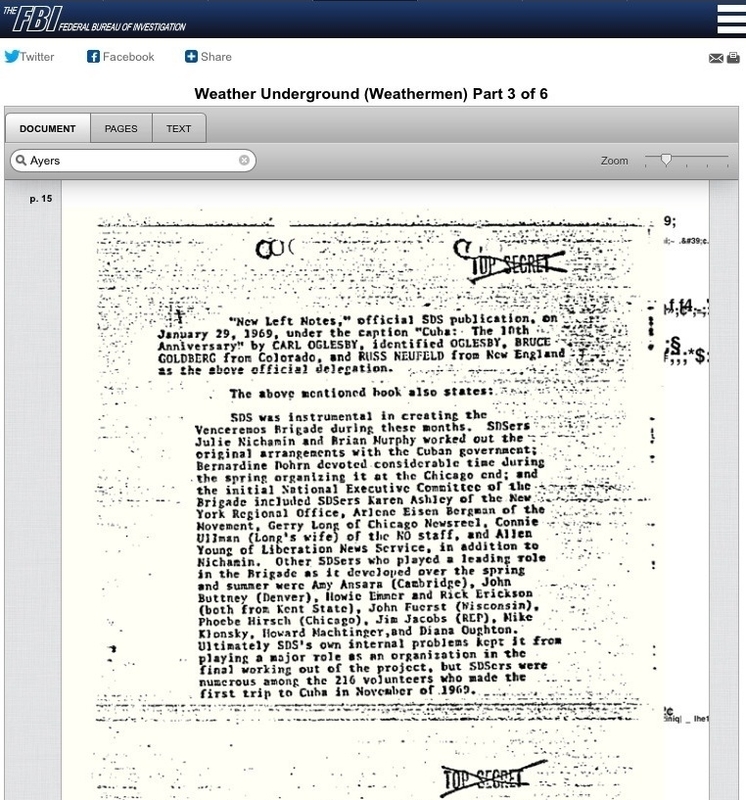 Excerpts from the William Remington FBI file are presented here as well. The Cessna Caravan 208B turboprop ditched off the coast of Kalaupapa, Molokai, Hawaii on December 11, 2013. The Makani Kai Air Charters flight had departed Molokai en route to Honolulu with eight passengers and one pilot on board. The 246-word NTSB preliminary report released after the Cessna Caravan incident was called “one of the most incomplete and un-sourced reports published when compared to other reports.” Twenty months have elapsed since the plane ended up in the Pacific Ocean. The NTSB has yet to release its final report. Hawaii Director of Health Loretta ‘Deliana’ Fuddy, who released President Obama’s ‘Hawaii Certificate of Live Birth’ on April 27, 2011, was the only passenger pronounced dead after the Cessna Caravan went down. Hawaii Director of Health Loretta ‘Deliana’ Fuddy released President Obama’s Hawaii Certificate of Live Birth in 2011 and was pronounced dead in 2013 after a Cessna she was reportedly aboard ditched in the Pacific Ocean off the coast of Molokai, Hawaii. Several passengers claimed that they last saw Loretta Fuddy alive in the water wearing a life jacket. The GoPro video confirmed that passengers were in the water wearing life jackets. It is unclear if Loretta Fuddy’s face appears in the shaky, heavily-edited GoPro video. Therefore, it cannot be confirmed that Fuddy was ever on board the Cessna Caravan or in the water. 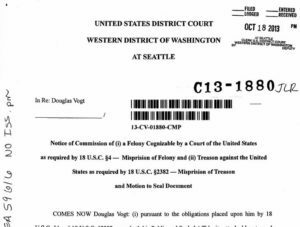 Sealed affidavit filed by Doug Vogt in U.S. District Court on October 18, 2013 included alleged details about Loretta Fuddy’s finances. Preliminary official reports about Loretta Fuddy’s cause of death contained glaring inconsistencies. Various officials blamed her death on internal injuries due to trauma, on drowning, and finally, on heart arrhythmia. 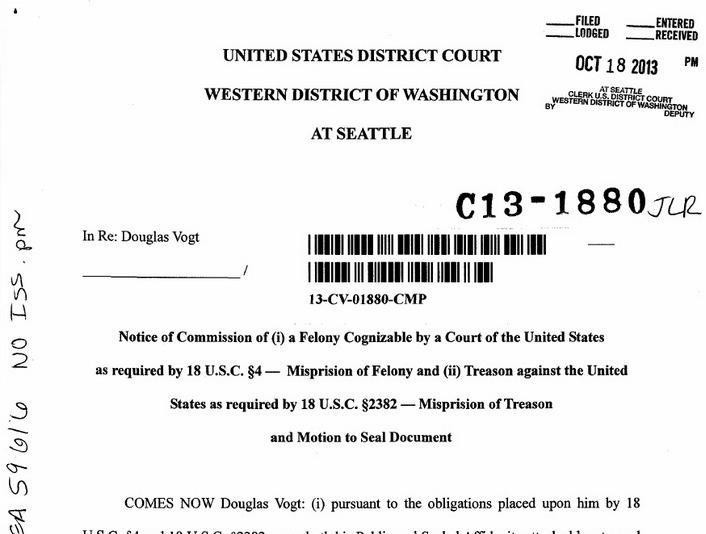 A sealed affidavit filed by computer scanning expert Doug Vogt in U.S. District Court in Seattle on October 18, 2013 included allegations of misprision of felony and treason against the United States. The affidavit also contained details about Loretta Fuddy’s personal finances. Vogt hoped that a federal judge would convene a grand jury to investigate possible criminal conduct and compel the production of Hawaii Department of Health original documents and sworn testimony from Hawaii officials. Less than two months after Vogt’s affidavit was filed the Cessna allegedly transporting Loretta Fuddy went down in the Pacific Ocean. After the plane incident it surfaced that Hawaii Department of Health Director Loretta ‘Deliana’ Fuddy, the first non-physician health director in Hawaii’s history, had been the SUBUD USA national chairperson from 2006-2008. ‘Deliana,’ we learn from Fuddy’s memorial, is Fuddy’s SUBUD name. Not only is this the first time most Americans become aware of the Islamic cult SUBUD, it is also the first time Americans are made aware that Stanley Ann Dunham, Barack Obama’s mother, was also a member of the little-known Islamic cult SUBUD. 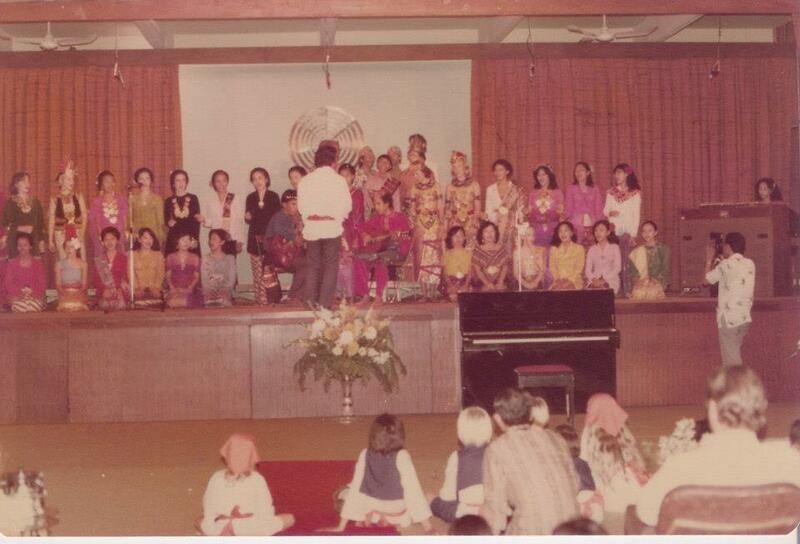 Subud Jakarta, circa early 1970s. One of the few official documents Americans have actually seen related to President Obama’s early life is Ann Soetoro’s 1968 application to renew her U.S. passport. Dunham was preparing to exclude Barack Hussein Obama (Soebarkah) from her passport, but the name was crossed out. Ann Dunham’s passport was later destroyed by the State Department. Stanley Ann Dunham Soetoro’s 1968 application to renew her U.S. passport. Dunham was preparing to exclude Barack Hussein Obama (Soebarkah) from her passport, but the name was crossed out. ‘Soebarkah’ is possibly Barack Obama’s SUBUD name. The name ‘Soebarkah’ has never appeared in any other publicly-known documents related to President Obama. Is ‘Soebarkah’ perhaps Barack Obama’s SUBUD name? Why have Americans never been told of this SUBUD cult connection before? Why the secrecy? The life histories of Loretta ‘Deliana’ Fuddy and Stanly Ann Dunham appear to share many parallel trajectories. Like Dunham, Fuddy is from Hawaii, spent time in Seattle and in Indonesia, and was deeply involved in the SUBUD cult. Only after reading Dunham’s biography by Janny Scott “A Singular Woman” do we become aware of Dunham’s early fascination with and life-long devotion to SUBUD. 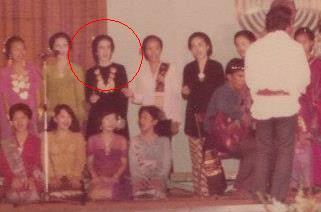 SUBUD cult founder Muhammad Subuh Sumohadiwidjojo of Indonesia. 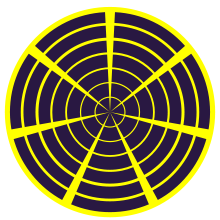 ‘Seven Circles’ symbol of SUBUD. SUBUD is an Islamic cult comprised of about 10,000 members worldwide. The group observes Ramadan. 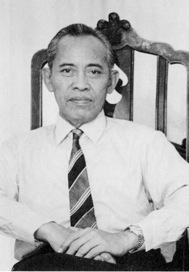 The cult was founded in Indonesia by Muhammad Subuh Sumohadiwidjojo. SUBUD maintains strong and enduring connections to the United Nations. Ties between SUBUD and the UN began as early as the 1950s and continue today. SUBUD spread from Indonesia to Hawaii and Chicago. The group also established an office in Seattle. SUBUD USA moved its headquarters to a Washington D.C. suburb in 2012. SUBUD received a land grant at the Crestone/Baca Community in Colorado from the Manitou Foundation. The Monitou Foundation was founded by shadowy former UN official and Agenda 21 architect Maurice Strong. Strong resides in China. George Soros, through his Open Society Foundation, funded Yayasan Usaha Mulia, a SUBUD humanitarian effort in Indonesia. Soros funded the SUBUD project in 2005. ‘Deliana’ joined SUBUD in 1982 in San Diego. ‘Deliana’ was a SUBUD USA Endowment Fund trustee. This allowed her oversight of the group’s finances. SUBUD literature often discusses the complete destruction of capitalism and the transformation of Western society. Loretta ‘Deliana’ Fuddy was connected to the University of Illinois at Chicago (UIC). ‘Deliana’ Fuddy, who held a Master’s Degree in public health, posthumously co-authored an academic paper with one medical doctor and two UIC professors who held doctorates. The academic work may have been intended to enhance Fuddy’s limited résumé, which did not include a medical degree, the traditional prerequisite for Hawaii health directors. 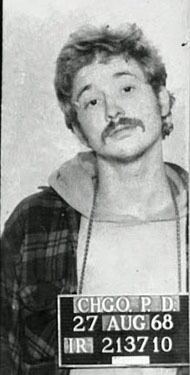 UIC is the academic bastion of domestic terrorist and self-described communist revolutionary Bill Ayers. UIC is also connected to Sylvia ‘Shoshanah’ Margolin and Victor Margolin Ph.D., both officials of SUBUD Chicago. ‘Deliana’ Fuddy was facebook friends with ‘Shoshanah’ Margolin. ‘Shoshanah’ Margolin holds a Master’s Degree and a Ph.D. in social work, both from UIC, according to LinkedIn. ‘Shoshanah’ Margolin, like ‘Deliana’ Fuddy, also served as SUBUD USA national chairperson. ‘Shoshanah’ was national chairperson from 2012-2014. ‘Deliana’ Fuddy and ‘Shoshanah’ Margolin both attended the SUBUD USA board of directors meeting in Portland, Oregon on November 10, 2010. 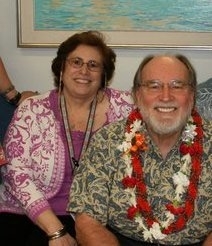 The Portland meeting happened 11 weeks before Fuddy was appointed Hawaii Acting Director of Health. ‘Shoshanah’ is married to UIC Professor Emeritus of Design History Victor Margolin, a leading Soviet propaganda expert. Victor has also worked as a professor in Havana, Cuba. Obama campaign logo designed by Sol Sender. Victor, drawing on his in-depth expertise in Soviet propaganda design, suggested ways in which Radical America, the journal of Bill Ayer’s ‘Weather Underground’ Students for a Democratic Society (SDS), could have employed graphic design elements to better deliver their communist revolutionary message. Victor has connections to Chicago graphic designer Sol Sender, the lead designer of the Barack Obama 2008 presidential campaign logo. Victor Margolin has direct connections to Felix Beltran, propaganda graphic designer for the Cuban Revolution. The frightening shadow of the Soviet Union’s communist espionage machine did not come into full focus until this investigation looked into Victor Margolin’s late parents Benjamin and Olya Margolin. Running the Margolin name through the FBI Vault, a database of declassified files, led to a stunning discovery: The system immediately linked the names Benjamin and Olya Margolin to the FBI’s Silvermaster spy ring files. 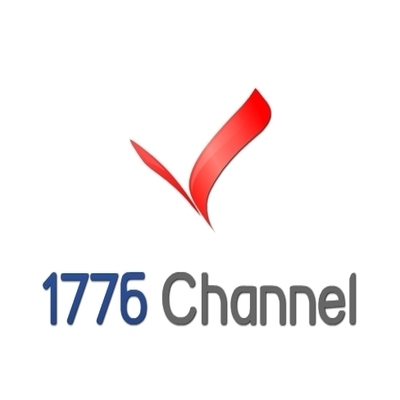 Benjamin and Olya Margolin lived near Washington D.C. Benjamin held a series of high-level positions within the federal government and Olya would become well known in Washington for her work with the National Council of Jewish Women (NCJW). The most notable campaign waged by Olya Margolin was NCJW’s ‘Freedom campaign’ targeting Senator Joseph McCarthy (R-WI) and the House Un-American Activities Committee (HUAC). Olya Margolin was also involved in a scandalous 1976 secret meeting in Washington, D.C. with representatives of the P.L.O, uncovered by Wolf Blitzer at the Jerusalem Post. Like the communists of today, Olya was deeply immersed in refugee resettlement programs. 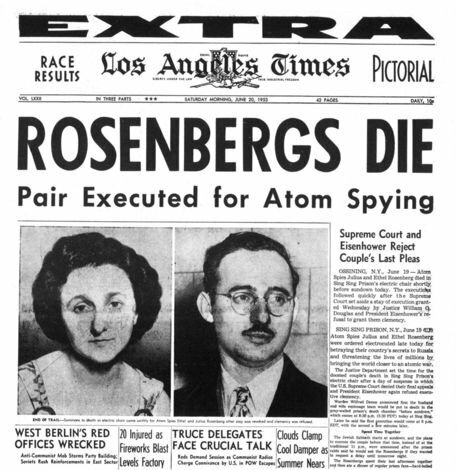 Benjamin and Olya are referenced in several FBI files, most notably the Silvermaster File Volume 24, part of the intelligence agency’s Julius and Ethel Rosenberg Soviet espionage case files. Those case files investigated traitorous Americans employed by the U.S. government who shared secrets about America’s nuclear weapons development program with Soviet agents. Soviet spies Julius and Ethel Rosenberg of the Silvermaster spy ring were executed in 1953 for their role in the theft of American atomic secrets on behalf of the U.S.S.R. The Silvermaster File is named after Soviet spymaster Nathan Gregory Silvermaster. Nathan Silvermaster was born in Russia and raised in China, then emigrated to the United States. Soviet spymaster Nathan Gregory Silvermaster. 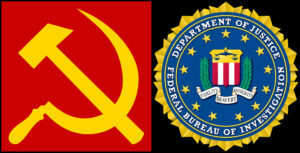 The communist spy ring in America which Nathan Silvermaster set up and directed was connected to high-level communists in the Soviet Union and China. Silvermaster was employed as an economist with the United States War Production Board during the Second World War. The Silvermaster FBI files chronicle the activities of dozens of American traitors who worked inside the U.S. government and who passed information to Soviet spies. These traitors held high-level positions inside the Treasury Department, the military, the State Department, the Commerce Department’s Office of Coordinator of Inter-American Affairs (OCIAA), the OSS (predecessor of the CIA), and even the White House. This treasonous activity was organized under the leadership of the Communist Party USA (CPUSA) and Soviet agents. 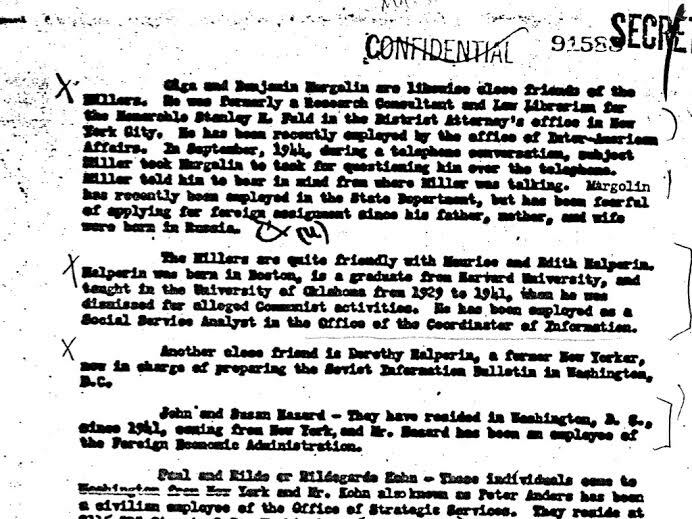 Benjamin and Olya (spelled Olga in FBI files) Margolin are identified in the Silvermaster file as “close friends” with Robert Talbot Miller III of the Silvermaster Soviet spy ring. Robert T. Miller was an American who moved to Moscow before relocating to Washington D.C. to work for the U.S. government. Benjamin Margolin and Robert Miller both worked at the Office of Coordinator of Inter-American Affairs. The OCIAA was deeply infiltrated by the Soviets. OCIAA employees spied for the Soviets and passed American intelligence reports about Soviet activities in Latin American to espionage agents for the U.S.S.R.
Margolin and Miller both left OCIAA and began working at the State Department. The State Department, like the OCIAA, was also heavily infiltrated by the Soviets. 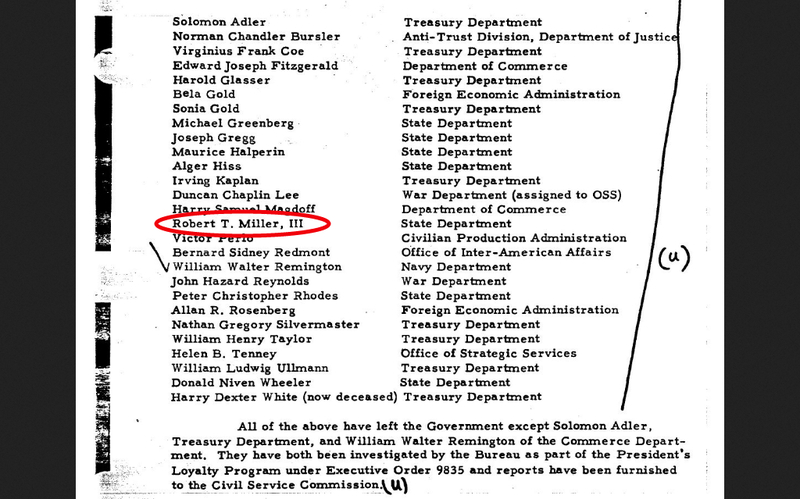 Miller held a sensitive high-level position at OCIAA where he had access to Navy, Army, and OSS intelligence reports. Soviet spy Elizabeth Bentley feared the Soviets would assassinate her. She became an FBI informant. 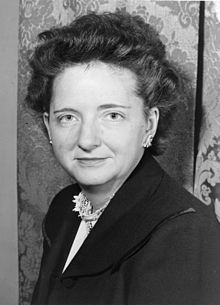 Elizabeth Bentley was a Soviet spy who became an FBI informant after she realized that the Soviets planned to assassinate her. Bentley told the FBI that Miller passed intelligence reports to the Soviets. Bentley was a handler and courier for the Silvermaster spy ring. Bentley provided FBI agents with the names of more the 80 Americans, including Robert Talbot Miller, who had participated in espionage against the United States on behalf of the Soviet Union. After Elizabeth Bentley identified Robert Miller as a Soviet spy, the FBI began surveillance on Miller and his network of spies. The FBI’s investigation of Miller led the intelligence agency to Benjamin and Olya Margolin. Benjamin Margolin was recorded in a 1944 telephone intercept speaking with Robert Talbot Miller according to the Silvermaster file. 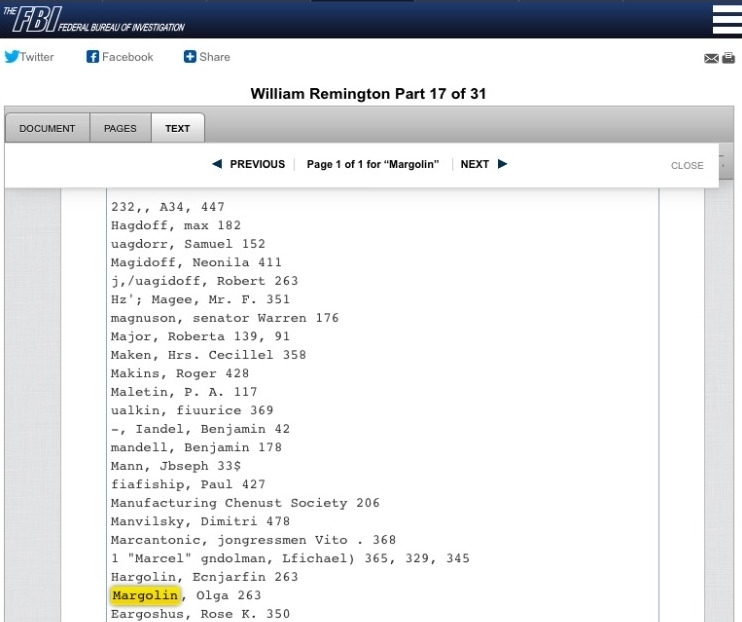 Olya Margolin’s name also appears in the index of the FBI’s William Remington File Part 17. The ten pages where information about Olya should appear are missing or were stolen from the FBI. William Remington, also a U.S. government employee who was accused of espionage by Elizabeth Bentley, was prosecuted and convicted of perjury. Remington was murdered in prison by inmates who objected to Remington’s activities as a communist spy. 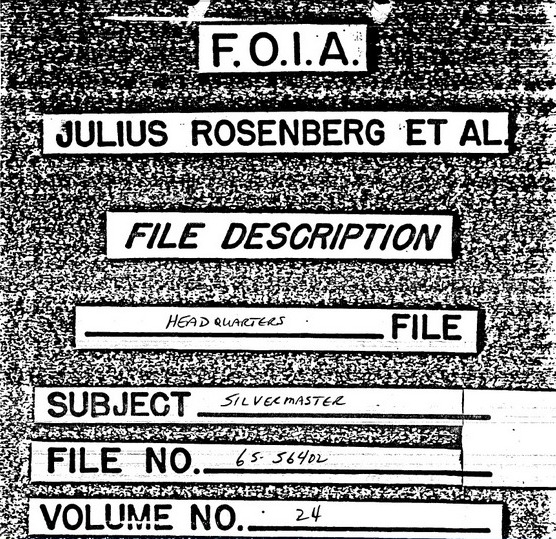 FBI Silvermaster File Volume 15. FBI Silvermaster File, Volume 24, page 71 of 166, March 1946. 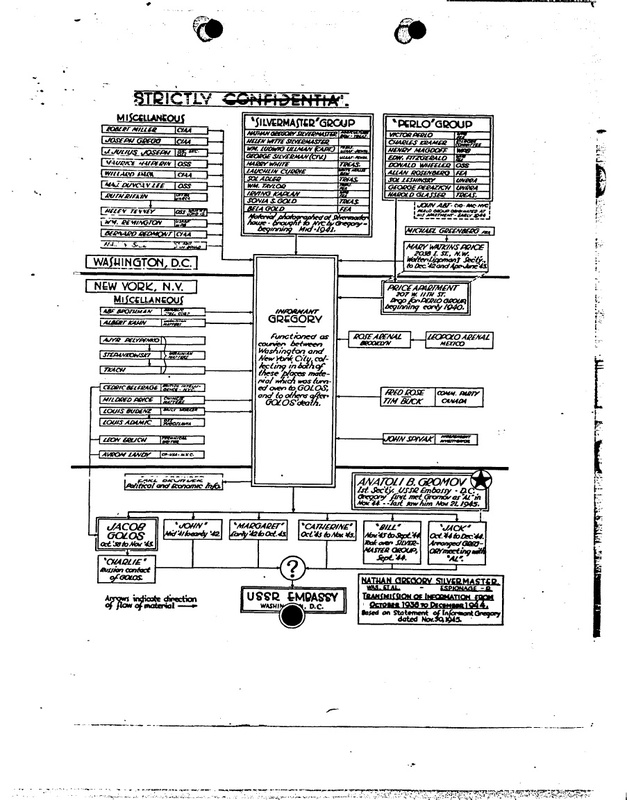 Soviet espionage organizational chart from FBI Silvermaster File Part 15 page 4. Many family descendants of agents from the Silvermaster spy ring and descendants of Soviet agents covertly inserted into the United States under Philby’s ‘refugee resettlement’ program, are actively engaged in anti-American communist operations today. 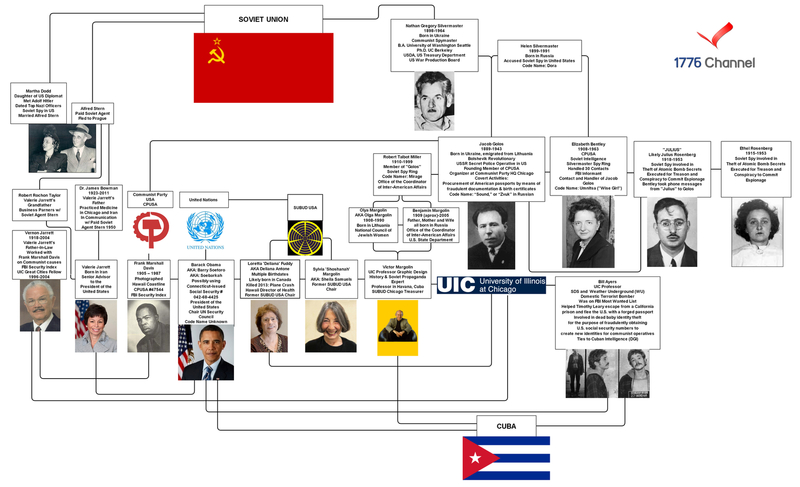 Connections between President Barack Obama and communist Soviet and Cuban espionage agents. Peters entered the United States and masterminded the Silvermaster/CPUSA passport fabrication operation, creating thousands of fraudulent passports for Soviet spies infiltrating the U.S.
Silvermaster/CPUSA communist agents working in public libraries scanned the obituaries looking for dead babies, then wrote letters to records offices requesting duplicate birth certificates, claiming that the original document had been lost. 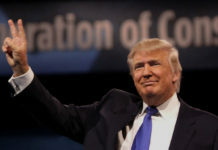 The fraudulently-obtained birth certificates were subsequently used by the communist ring to obtain U.S. passports for Soviet agents infiltrating the United States. President Obama’s Chicago associate, communist revolutionary Bill Ayers, continued the dead-baby stolen identity racket initially set up in America by Silvermaster/CPUSA spies. FBI: Valerie Jarrett’s father was in communication with Soviet agent who was charged with espionage and fled the U.S. The startling connection between Loretta Fuddy’s Islamic cult SUBUD network and twentieth-century Soviet spy rings is only the latest revelation to paint an increasingly troubling picture of President Obama. Valerie Jarrett, President Obama’s must trusted and influential adviser, is the product of Soviet communist espionage roots. FBI files show that the father of senior Obama White House adviser Valerie Jarrett was in communication with paid Soviet agent Alfred Stern. Stern was charged with espionage and fled to Prague. Valerie Jarrett’s grandfather Robert Taylor and Soviet spy Alfred Stern worked as business partners in low-income housing. Valerie Jarrett carried on this family business tradition. Valerie earned the moniker “slumlord after she became ensnared in several Chicago public/private low-income housing scandals. Valerie Jarrett’s father-in-law Vernon Jarrett, a communist propagandist for the Soviets, was placed on the FBI’s Security Index. The Security Index was a secret list of individuals to be immediately arrested should any disruption break out between the U.S. and the Soviet Union. Vernon Jarrett and Frank Marshall Davis simultaneously worked as writers at the radical Chicago Defender newspaper. Valerie Jarrett’s own father Dr. James Bowman was deemed a Soviet subversive by the FBI. Dr. 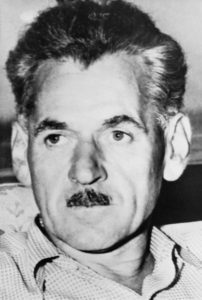 Bowman, like Vernon Jarrett, was in touch with Soviet spy Alfred Stern. The Jarrett family’s extensive connections to Alfred Stern provide further evidence that President Obama is affiliated with a long-standing Soviet espionage cabal. Any question about Stern being a Soviet spy dissipated when he fled the U.S. in 1956 to Prague before moving to the Soviet Union and Cuba. Dr. Bowman left the U.S. military in 1955 and moved to Iran, claiming that racism and pay disparity had forced him to seek employment in Iran. Stern was subsequently charged with espionage in absentia in 1957. Frank Marshal Davis, another member of President Obama’s “family,” was also placed on the FBI’s Security Index. Davis was CPUSA member #47544 and was a suspected KGB agent. 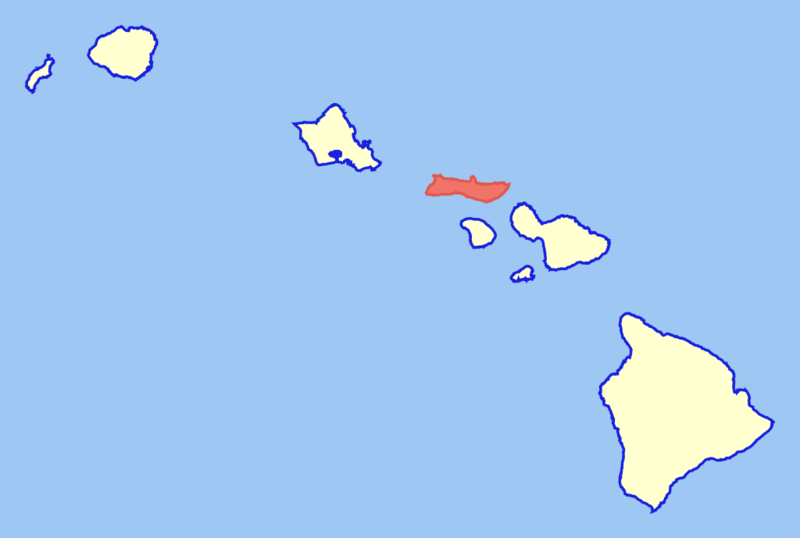 Davis was Barack Obama’s Hawaii mentor. Is President Obama an agent for Marxism? Is President Obama a communist agent, recruited decades ago by Soviet communists, who is now working to rebuild and empower the globe’s Communist nations? The Marxist Muslim Brotherhood has assumed power over much of the Middle East and is in every U.S. government agency under Barack Hussein Obama. 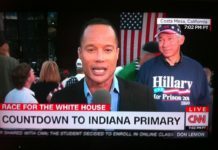 This is my last election. After my election I have more flexibility. I understand. I transmit this information to Vladimir. President Obama then rearranged his pants and glanced at the press corps looking like he was just caught with his hand in the cookie jar. The discovery of the connection among Fuddy/SUBUD, the Margolins, and the FBI Silvermaster spy files provides new evidence that suggests President Obama’s allegiance is not to the United States of America. The concern is that President Obama’s allegiance is to the power structure inherited from Soviet and Chinese Marxists, the Marxist Muslim Brotherhood, and the Communist Party of the United States (CPUSA). From Chicago radicals Bill Ayers and Bernardine Dohrn, who launched President Obama’s political career, to his chief White House adviser Valerie Jarrett and to his “mentor” growing up Frank Marshall Davis, almost everywhere one looks one can find connections to the CPUSA and often to Communist spies. Obama’s stunning move for normalization with Communist Cuba seems almost mundane in this construct of global communism. If a man’s associations define him, then is Barack Obama a communist agent? It has become abundantly clear that the communist connections to President Obama extend from the Silvermaster Soviet spy ring of Julius and Ethel Rosenberg to today, where those who surround him and his closest confidants–his “family”–are the products of the same deep connections. If (i) the unprecedented connections and associations of President Obama to Soviet agents, terrorists, the Marxist Muslim Brotherhood, and the anti-American pro-Marxist global movement to destroy the United States, (ii) his decision to scrap Poland’s missile defense shield, and (iii) the inexplicable, secret Iran deal are not enough evidence of his communist anti-American connections, look no further than President Obama’s own words to President Medvedev promising greater “flexibility” after his re-election. Barack Hussein Obama has made it abundantly clear through his actions that he is the enemy–from a long line of enemies–here to destroy the United States, her allies, and her position in the world. The U.S. is being crippled with debt, overloaded with Muslim refugees, and stripped of her power as President Obama works feverishly to rebuild the Axis of Evil by using the United States as its handmaiden. President Obama’s “transformation” of America is our destruction.